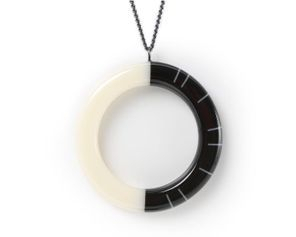 Originally from France, Cécile Gilbert is a self-taught designer-maker living and working in Brighton, UK. 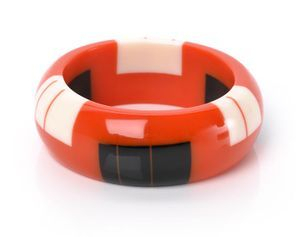 She launched Tiki in 2012. 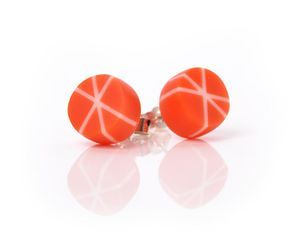 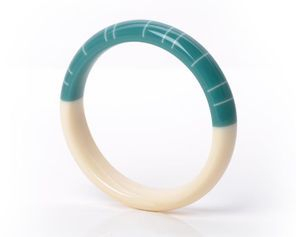 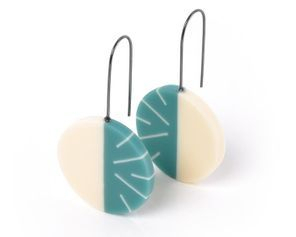 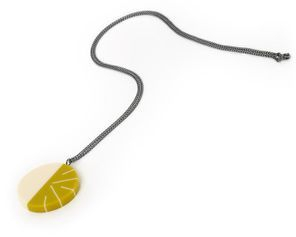 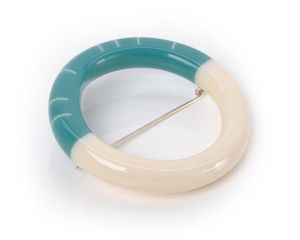 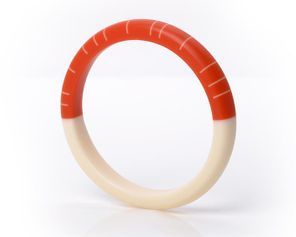 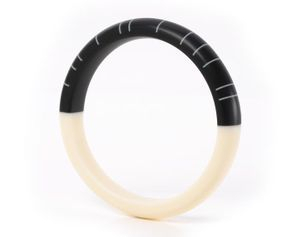 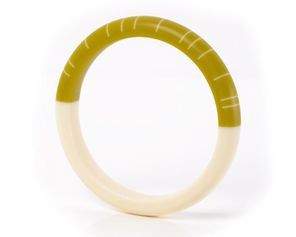 Inspired by Bakelite jewellery and designs of the 1920s and 30s, she created a range of contemporary jewellery that reflects those qualities, whilst adding a 21st century sophistication. 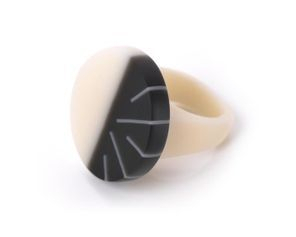 The Luxor collection which takes it's inspiration from Ancient Egypt and the Art Deco movement. 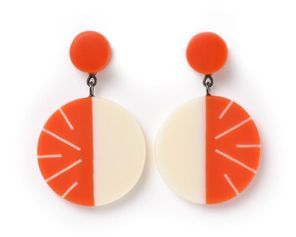 This collection comprises striking bracelets, reversible necklaces and sharp drop earrings. 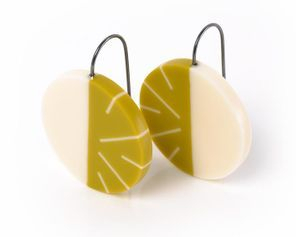 With its lozenge shape, Luxor offers real statement pieces, displaying diamondesque and polka dot facets. 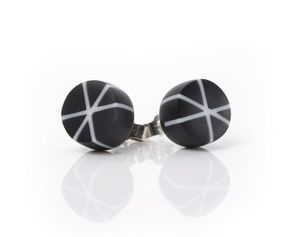 The Zazou collection is inspired by the 1940s Parisian subculture of the same name. 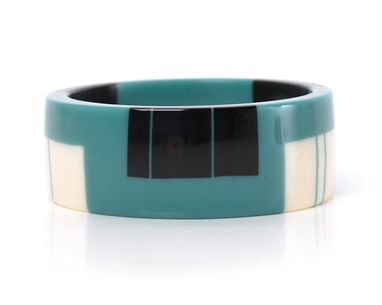 Chunky bangles and slim bracelets, ornate with blocks of vibrant colours and interspersed with bold stripes. 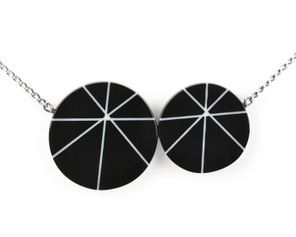 The reversible necklaces and circular drop earrings take on geometric and asymmetric designs. 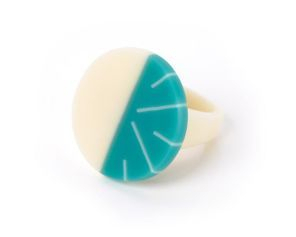 Each Tiki piece is entirely made by Cécile, from original moulds, through casting, sanding and polishing to the application of sterling silver fitments.